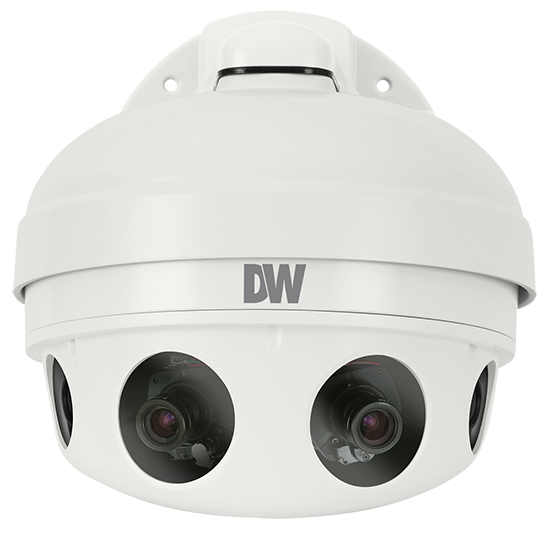 The Digital Watchdog® PANO™ 48MP 180° View Camera produces wide views and forensic details at up to 30fps. When considering total system cost, it may be the most cost-effective camera in the industry by doing the work of multiple cameras from a single installation. When you bid a video surveillance project, do you think in terms of general area surveillance vs. choke points? Do you also consider the need for live monitoring vs. recorded evidence? Is there a specific expectation for the frame rate of the video? If you’re still only thinking in terms of single-sensor cameras… why? Do you think that multi-sensor cameras are too expensive? This blog discusses the need to compare all the costs of a video surveillance system, not just the cost of the camera. If you can design your system with fewer cameras, the costs for cabling, accessories, labor and recording licenses are all reduced. And fewer security personnel may be required to monitor the reduced number of cameras, further reducing cost and increasing ROI. In short, there may be a savings in being able to see more with fewer cameras by adding high resolution multi-sensor cameras. Multi-sensor cameras use three or more sensors in a single housing to produce high-resolution wide field of view video. They are literally many cameras in one, with one network connection and requiring only a single recording license in most VMS solutions. If you can get the benefits of three or four sensors in a single housing, all related installation and management costs decrease. You cannot add resolution to an image. If you zoom past the native resolution, the image deteriorates. In video surveillance, some image deterioration is okay if you can still pick out the activity, but too much deterioration renders the image as useless. System designers will typically assign some cameras for wide surveillance and additional cameras (fixed and varifocal) to provide the required resolution at choke points where action happens — such as exits, entrances, concession stands, building entry doors, toll booths or vending machines — where recognizing a face or reading a license plate is critical. There can be an Achilles heel of designing multi-sensor cameras into your system — trying to use the camera to monitor too wide of an area can provide disappointing results when zooming into the fixed image digitally. Using an 8MP or 12MP multi-sensor camera can accomplish stunning wide views, but will probably still require dedicated cameras at choke points for facial and plate recognition. However, as you now consider ultra-high resolution 20MP (4x5MP), 40MP (4x10MP), 33MP (3x4K) and 48MP (4x4K) multi-sensor 180° video cameras, there is a lot of resolution to accomplish both wide area surveillance and the ability to digitally zoom in for details. If the IP megapixel image quality is similar, then the deciding factor in choosing the right camera for the application can be frame rate. Historically, the frame rate story for multi-sensor cameras has been as follows, “You like the images. This is the frame rate that is available.” The frame rate has not been very high for these cameras. We now are seeing 32MP multi-sensor cameras introduced with up to 30fps. With these cameras, system camera count can further be reduced since the ultra-high resolution multi-sensor cameras can also zoom in for the details with plenty of pixels on target. Today, you can have it all from a multi-sensor camera: resolution and frame rate. The multi-sensor camera you are considering should provide both. We have entered an exciting time in the video surveillance industry when more manufacturers are selling multi-sensor cameras, some with frame rates up to 30fps. There are even analog multi-sensor cameras now! 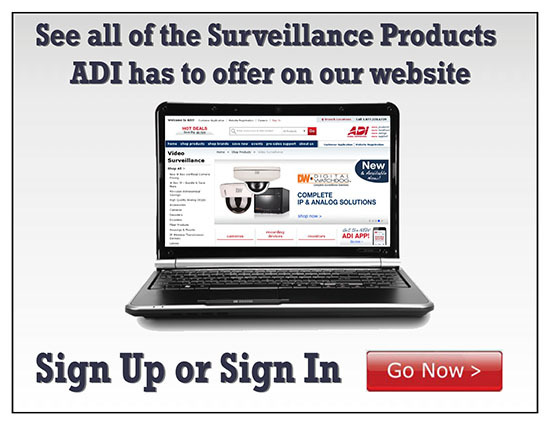 Your selection for 180° surveillance video just increased, but so did your homework. Higher resolutions are available. Faster frame rates are a reality. New features are being added. If you have dismissed multi-sensor cameras in the past for any reason, do yourself a favor and look at them again.